I am Absolutely Obsessed with these chairs! With more than 100 design awards, Martin Ballendat furniture designer has created some incredible designs. We're so Inspired by Mr. Grey's Penthouse. We had to share. Cutouts, Lace, Black and White. Our favorite looks transformed to inspire design. Anna Rendrick. Clean. Simple. Classic. Kat Graham. Beautiful. Floral. Sheer. Black White. Giuliana Rancic. Sheer. Cutouts. Clean. Classy. Looking for the ultimate hotel experience in California? Or just a mini vacay to transport you to a luxurious stay with unique accommodations, high tech amenities or even a one of a kind experience. For all you Californians that just want to get away. Here’s a few hotels that are just in your backyard that offer an array of unique experiences that are sure to please your senses, with gourmet dining, one of a kind entertainment, beautiful views, and access to the authentic local Californian experience. We absolutely love this Hotel, featured on Hotel Showdown on the Travel Channel. Located in Point Loma, San Diego, this hotel really takes you back to that cool California lifestyle from the 60’s and 70’s. The Pearl has 23 guest rooms; with several unique design experiences. Don’t forget to check out the hotels on site restaurant, which features a Californian coastal cuisine. One of the best features is a Dive-In Theater. Yes, DIVE-In. The hotel shows an array of eclectic film selections that can be watched from the poolside lounge area located in the center of the hotel. This is definitely on my list of cool hotels to check out. Looking for a boutique experience near Lake Tahoe. This is one of the best boutique hotels I've seen that really gives you a luxurious “camping” experience. Located at the heart of South Lake Tahoe. It’s minutes from hiking trails, and the Heavenly Gondola. This hotel has 50 guest rooms that invoke relaxation, while also appealing to adventure seekers. The staff at Base Camp Hotel really strive to give their guests the best accommodations with cozy settings and hospitality that make each guest feel like a local. Featuring rooftop hot tubs, fire pits to roast s'mores, and breakfast accommodations. Base Camp is also, bike friendly, Ski/Board friendly, and pet friendly. 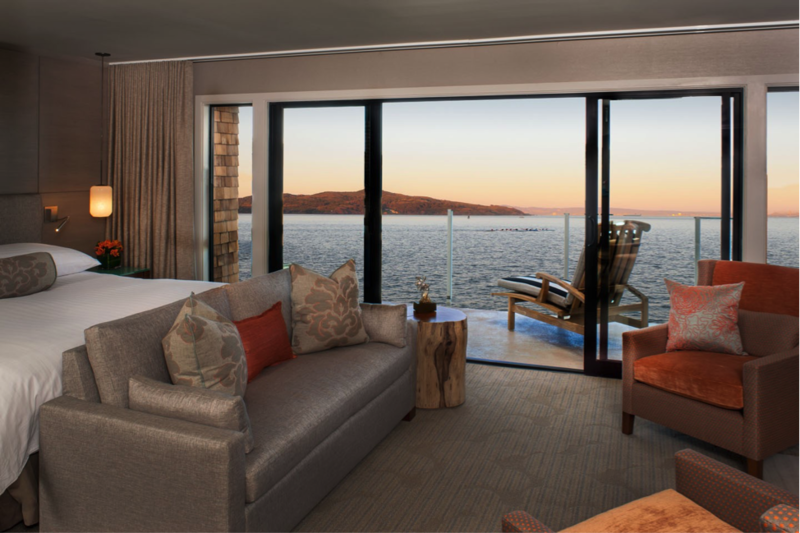 Making them the ultimate destination hotel for Lake Tahoe travelers. Just love the "camping while indoors" decor for this guest room. It really brings new meaning to "roughing it". What a great modern approach to cabin decor. 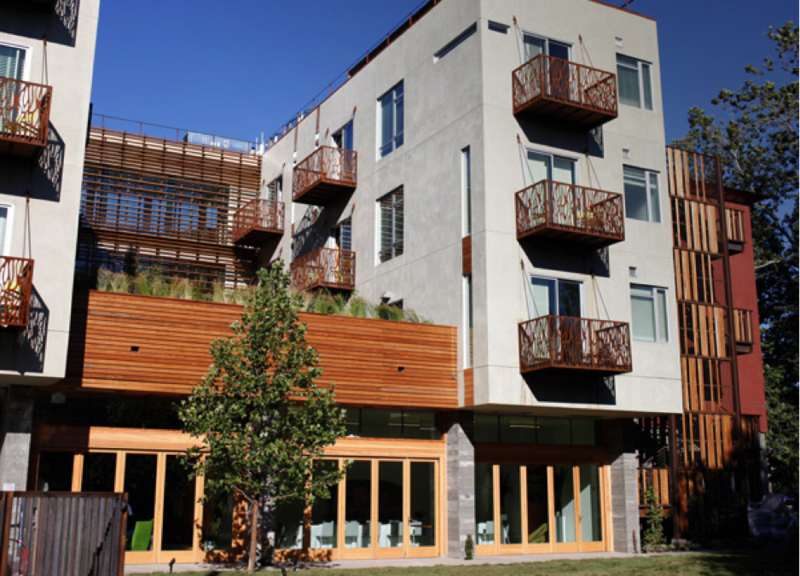 With a green roof, and LEED certification, this is such a great green boutique hotel. Looking for a great Wine Country get away? This has to be one of the best, with a solar heated creek side pool, Complimentary Yoga Classes Saturday and Sunday, Free Bike Rentals, daily breakfast, an onsite acclaimed American Contemporary Restaurant, and a Hand Fan Museum. The first museum dedicated to hand fans. This hotel is just too beautiful to miss. 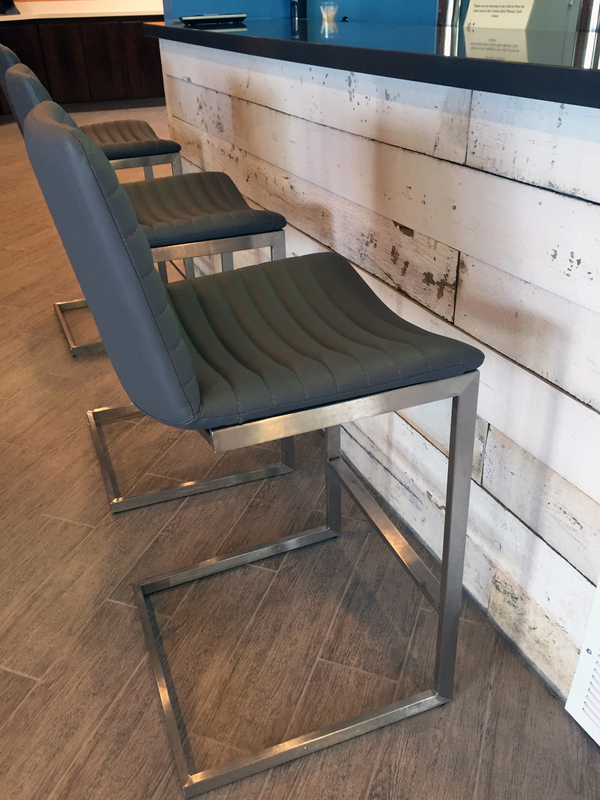 We just love the modern approach to design all throughout the hotel. Such a cozy and inviting lounge area. Oceana Beach Club Hotel is located on Ocean Blvd, walking distance from the beach. If you really want to experience Santa Monica this hotel really has you covered. Nothing compares to a sunset in Santa Monica. Located near the famous Santa Monica Pier and walking distance from the beach, local shopping and dining, and farmers market. All accommodations include indulges such as a glass of Prosecco, high speed internet, daily yoga practice, bike rentals, and surf lessons. 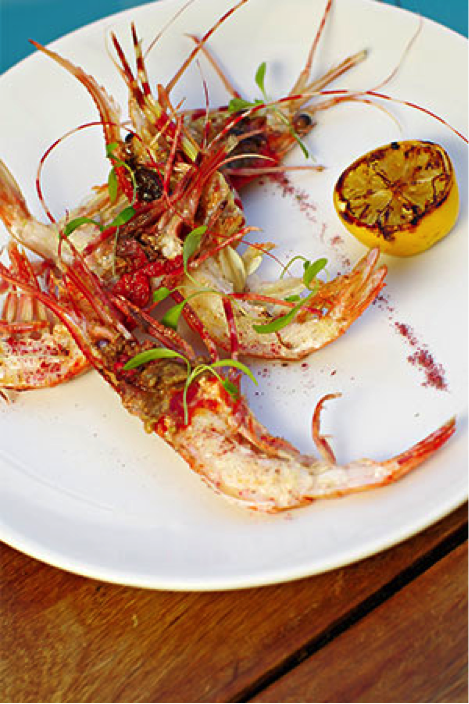 Get the From Sand to Stand package when booking your stay to experience an exclusive tour of the famed Santa Monica Farmer’s Market with Michelin-Star Chef Josiah Citrin. What a beauty. Clean, masculine, romantic, with modern vintage touches. The Los Angeles Athletic Club Hotel is located in Downtown Los Angeles near the Staple Center. This is the ultimate stay for the health conscious, athletic traveler that loves to take advantage of hotel amenities of a grand scale. Featuring an Olympic size indoor swimming pool, access to 88,000 square feet of fitness facilities, and classes such as yoga, cardio kick boxing, and Latin fusion dance to name a few. 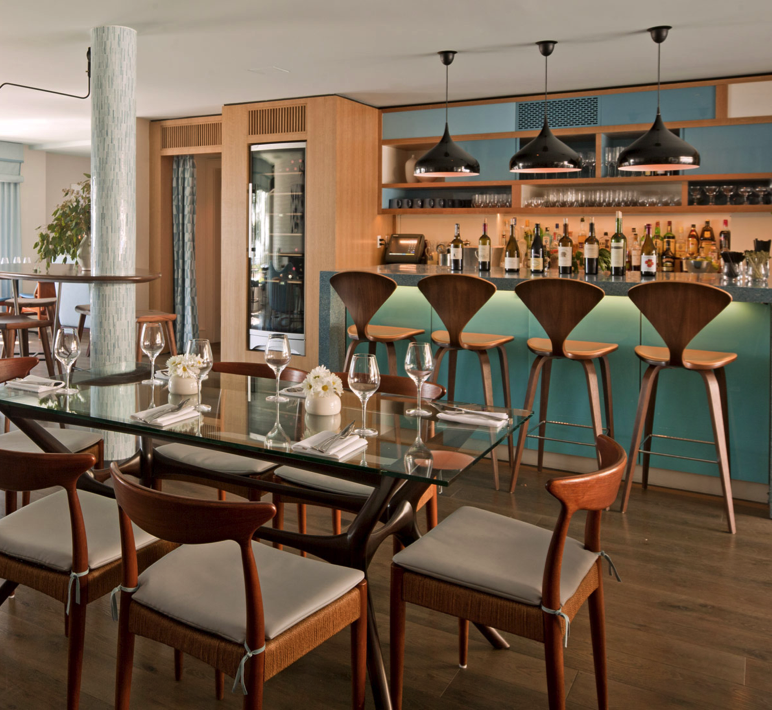 After a few laps in the pool, or a work out, indulge in an upscale bistro style restaurant that is designed with historical porcelain tile and walnut wood paneled walls. Or relax in one of Los Angeles’s oldest bars featuring a modern upscale look. Don’t forget to order one of their featured cocktails which date back 200 years. Stay is one if their 31 intimately designed rooms and feel as if you’ve retreated from the everyday SF hustle and bustle. This waterfront hotel is located in Sausalito and steps from the Village of Sausalito. Complimentary amenities include high speed internet, generous continental beakfast, evening wine and cheese reception, fireplaces and private decks overlooking the bay, and complimentary loaner bikes to name a few. This is just a spectacular hotel getaway destination that is sure to leave you feeling indulged and relaxed. Panoramic views of San Francisco Bay just take your breath away. Such a beautiful and modern waterfront guest room. Looking for that unique touch to your holiday season? Here are some tips and ideas for that perfect holiday party that you've been meaning to have! Holiday fragrance, without the candle! Cinnimon sticks, whole nutmeg cloves, cloves, rosemary and pine needles in a little water and oil simmering on the stove! 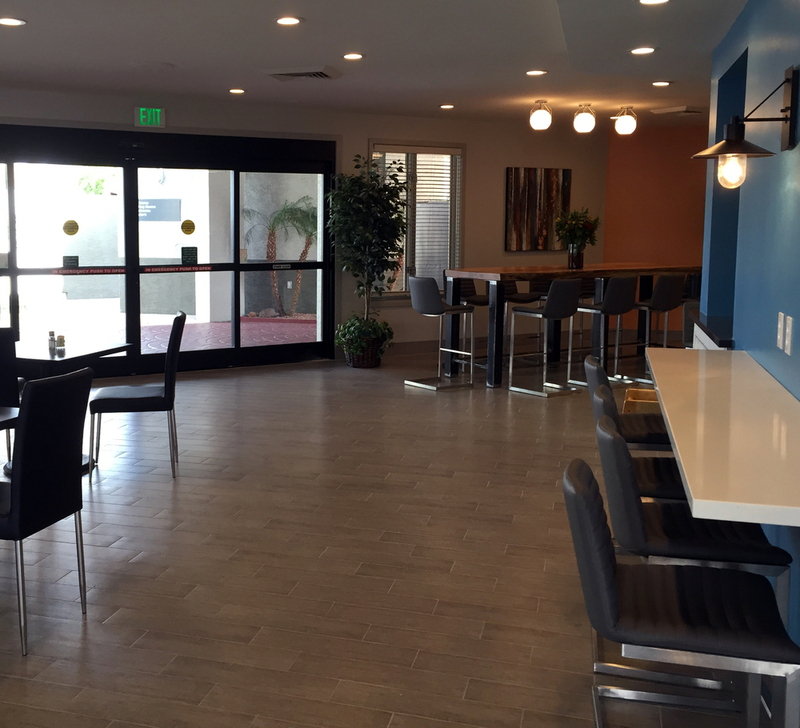 Recently we had the opportunity to take an outdated hotel lobby and convert it into a modern beauty. Here are some before and after shots of the space. Honestly, who doesn't love mirrors? They brighten up a space, add depth, and visually create a larger space. Mirrors can work in so many different spaces. I have collected some images of mirrors being used in unique ways that you may have never thought of! Mirror paneled doors, what a dream closet! Why not mirror a hallway to make it less drab? Love the mirror panels on the doors! Enter your home to a oversized mirror. 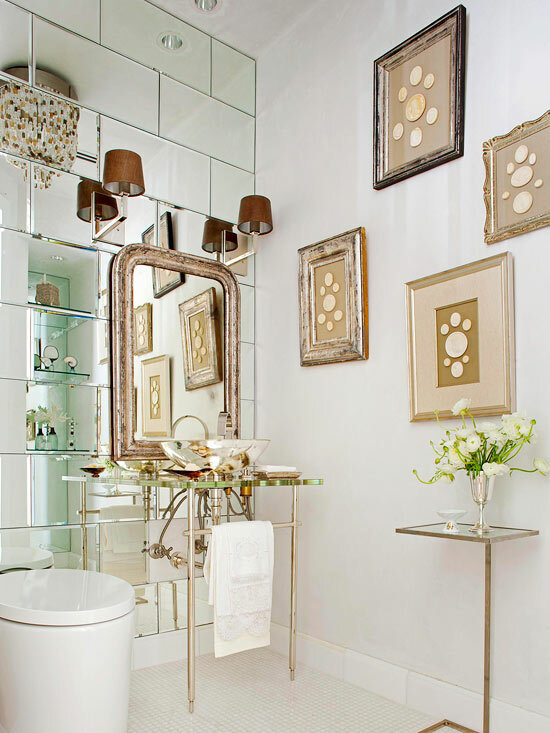 Making a small space larger by mirrored tiles! This is a new one, and is fabulous! Again, mirroring small spaces enhances the actual size! 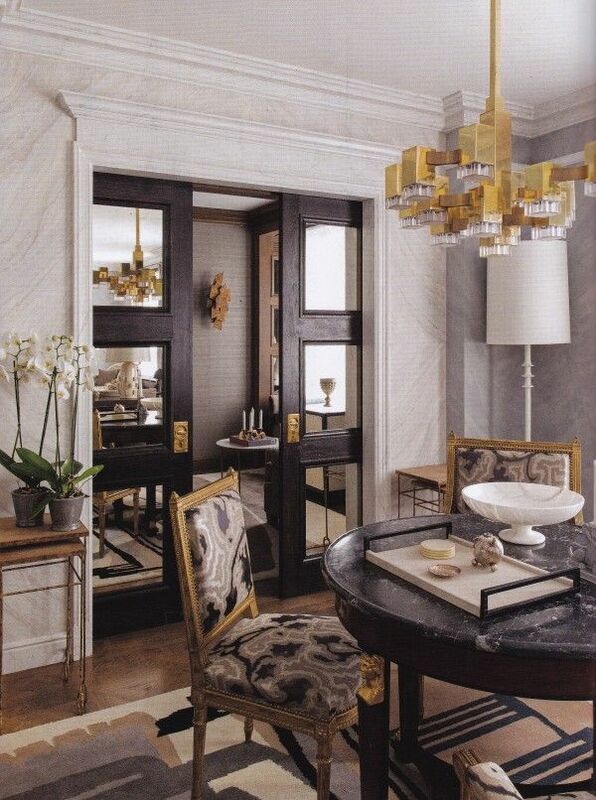 Adore this space with the antiqued mirror. Not a fan of displaying family photos? Do a mirror gallery wall instead! Bring in a mirror to an outdoor space to reflect greenery in any seating area! Not a fan of art? Use a ornate mirror instead! Summer is around the corner and as we get ready to enjoy barbeques and picnics outdoors, we may be missing an important factor in all the excitement, the outdoor space! It's time to put all those pins to use and create a patio, deck, backyard you've always dreamed of! Consider these tips when you're beginning your outdoor project! 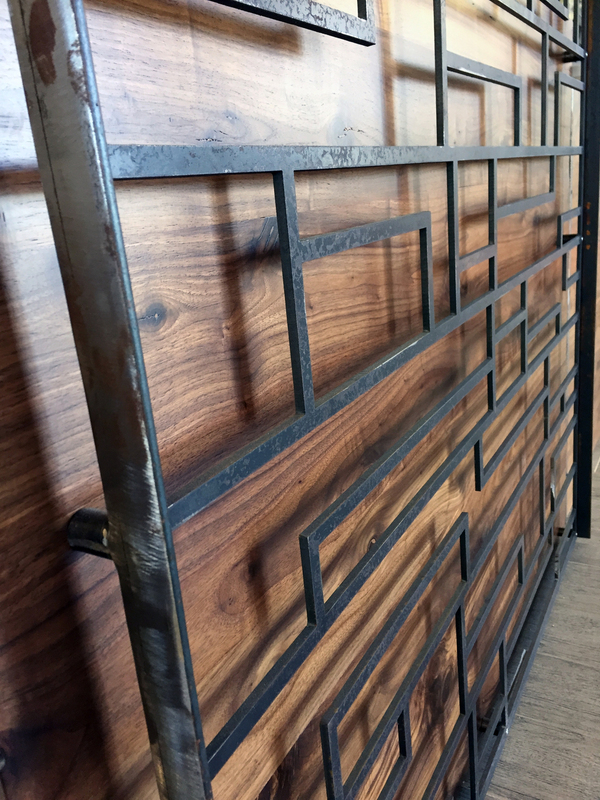 Use furniture that can withstand weather such as teak, powder coated aluminum, and cement. Create a covered area to provide you with shade on those hot summer days and to keep you dry on those rainy winter evenings. Accessibility is key in creating a space that is an extension to your home. Have good landscaping! It would be a tragedy if your outdoor space didn't have good landscaping. Be sure to keep in line with the interior and architectural design elements of your home. Add lighting to enhance the landscaping at night which also provides a great ambiance in the evenings. Don't have a green thumb? Not a problem, try adding a water feature in your outdoor space. This will provide a very clean modern look while creating a Zen relaxation retreat. This way you don't have to worry about keeping those flowers and plants alive throughout the year! Don't forget the fire pit! This is a key feature to any outdoor space. You'll be able to curl up next to the fire enjoying the company of friends and family or even a good book while taking in the freshness of nature.